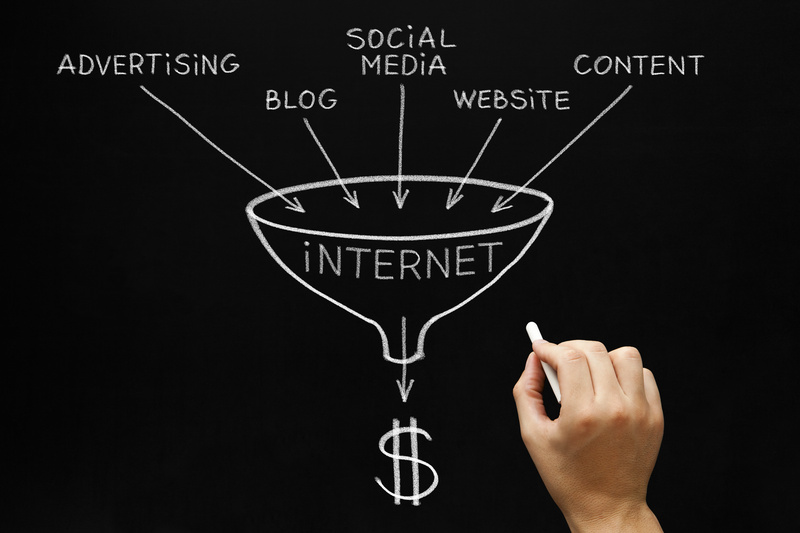 How do you create viral Internet marketing? Am I the only one who cringes a little bit when I hear the word “viral” over-used in talking about every latest craze on the Internet? Of course, I’m saying that sheepishly, because I know first-hand the value of the social currency that is viral Internet marketing. I mean, who names these things, anyway? Way back when, as your grandpa probably told you, going viral was something you were inoculated against, and if it happened to you, you surely didn’t tell anyone. But now, everything has changed – well, all of those things are still true in the literal sense (and in the computer sense,) but in the online world, it’s a dang good thing. Creating a hot piece of viral Internet marketing material that spreads itself just like that monkey in Outbreak is the best thing that can happen for your campaign, be it blog, meme, infographic, or video, putting out content that your customers spread with what I like to call “word of mouse” is the ultimate goal of branding in the digital space. We all latch onto viral content that is natural and unforced, generally preferring the “real” to the Made in Hollywood version. The consumer’s discerning nature, when it comes to web trends, can discourage Internet marketing professionals from even trying to tap into the power of going viral. While that’s a realistic concern, there’s no reason to be altogether deterred from engaging in a little viral marketing. To cash in on the solid investment potential of viral Internet marketing, you’ve simply got to understand what makes going viral so valuable. Let’s dig in and explore what makes viral Internet marketing work, so you can use it to make more sales and spread the word about your brand. 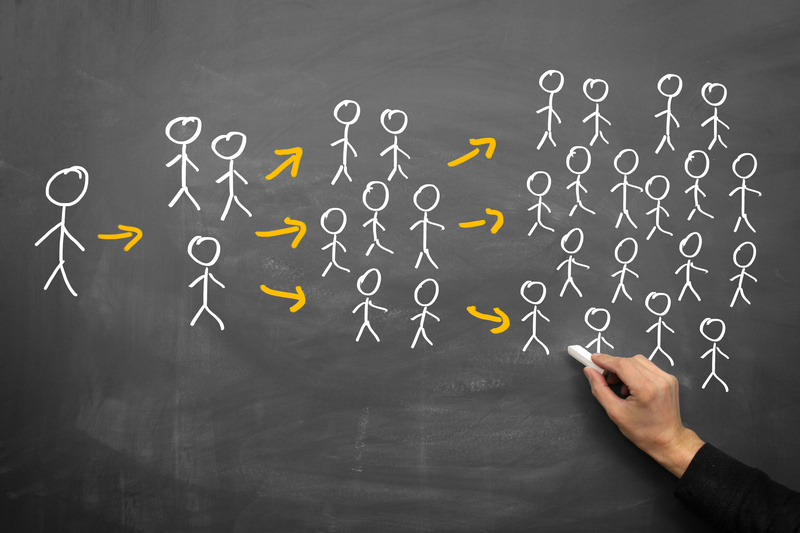 What makes viral marketing work? Viral Internet marketing is great because it sells itself. It’s cost-effective because when you succeed in reaching one person, they share that discovery with others who do the same, in turn. Viral Internet marketing is really all about ideas. Your customers enjoy that “ah ha” feeling that they get when they discover a compelling, snack-sized piece of content online. That’s what leads them to share your content. Sometimes, pundits have dismissed viral marketing as little more than the new name for the same old publicity stunts. But viral Internet marketing, under ideal circumstances, is differentiated from a mere stunt based on the fact that, to go truly viral, sharing the content in question needs to be a valuable action for your customer to take. I can’t emphasize enough that underlying the concept of going viral is the value of social currency. What is social currency, you say? Good question. That’s all social science geekery, if you ask me. Nevertheless, it’s all true, and you can surely see why the digital space is so conducive to viral marketing, as a result. Want to see an example of social currency in action? If you have a new smartphone that you haven’t changed the email settings on yet, rattle off a quick email to yourself. Note that if you are using an iPhone, it automatically affixes a small tag that says “Sent from my rockin’ iPhone” to all of your sent messages. Android users will have likely noticed a similar message. But Apple and Google have put those words there with great reason. While some users will change their signature to something else, most will just leave the tagline there. That means that, while using the device, each customer will tell all their friends, “Hey, look at me, I’m cool. I’ve got an iPhone.” Those who, like me, have a somewhat more “modest” Android phone will be able to cash in on some social currency, but everyone knows that the real status symbol in the smartphone world is the iPhone. Let’s take a quick little detour to mall. Don’t worry, we’ll come right back. One industry that often operates heavily on social currency is the fashion industry. Ever notice that big design houses like Tommy Hilfiger and Calvin Klein showcase all sorts of ultra-expensive, bleeding-edge designs during fashion week, but all you ever see of those brands in departments stores are their low-end, mass produced “branded” apparel. That’s because when you buy the Calvin Klein shirt in the strip mall and then wear it, you become a paying (rather than paid) advertiser. Any young adult who’s been through public schools (at least in the U.S.) will tell you that branded apparel is a big deal for at least a few of those rocky pubescent years. It’s sad to say, especially benefiting from the hindsight of an adult, but having the right shirt at the right time can make coming of age ever so slightly easier. That’s social currency of the highest order, as many of us will definitely remember, for better or worse. For your content to go viral, it needs to be seamlessly, effortlessly, and eminently sharable. Fortunately, most viral Internet marketing is taking place in social media outlets, which are fairly instantaneous methods of communication. That means your message – which may be as simple as an image – needs to be super simple. We say it all the time here, but once again, Keep It Simple Stupid (KISS). That’s the fundamental rule of going viral. Here’s a highly effective tweet that caught my attention recently, since I live in Georgia, USA and I just so happen to be planning a vacation right now. Notice that it hashtags Savannah and JFK International Airport, popping up on Twitter users who follow either of those hashtags. In my case, I actually found the tweet above through a re-tweet by the Savannah, GA tourism council, Visit Savannah. The call to action (CTA) is simple – follow the link to save on the cheaper-than-usual flight from the Deep South to the Big Apple. In this scenario, the viral Internet marketing “germ” spread with great effect, because it’s looking like New York, here I come. Viral Internet marketing really hinges on diversity of content. For a good while now, blogging and social media have been the dominant outlets for brands, and, while they remain strong in the here-and-now, more and more, viral Internet marketing success depends on cross-channel engagement. All the major platforms play nice together – your blog has social media buttons, your Google+ account is connected to your blog, all of the above leads to your website landing pages, everything has a mobile version – you get the picture. The various mediums in play are really being shaped around the need to conduct viral Internet marketing over many channels, seamlessly. So, with that in mind, companies like Facebook and Google are making going viral a lot easier. In social media, the major reason for sharing is the opportunity to earn social currency – popularity, relevancy, applause. The content that people share has to have value to their lifestyle. Does re-tweeting something like the cheap airline ticket mentioned above let others “in” on a little-known deal? Does sharing a meme make your friends laugh? (Like this amazing Star Wars versus Game of Thrones one.) Does liking a new high-brow indie film add to your personal intrigue? These are the kinds of things you and everyone else probably ask before sharing something online; they’re also things going through your customers’ minds. To really connect with your audience, you really have to come to a deep understanding of how your content brings your readers additional social currency. Market Mavens – These are people have their fingers on the pulse of the market; they follow the trending topics and are usually the first to know what’s about to go viral. Social Hubs – These are people with massive social connections; mavens disseminate information to them, then they broadcast it. That’s the sterile, textbook explanation of the viral Internet marketing. In reality, these roles are often held by the same person within an organization. While you might not recognize these roles as formal titles within your small business, the essential functions still need to be carried out in a successful viral Internet marketing campaign. The marketing maven – or whatever you want to call it – is probably the most critical role. If you are tasked with executing this function for your brand, you will need to gauge your market closely – as you probably already do. The basic idea is to keep tabs on what’s trending with reference to your market, what’s going on with the competition, and what innovations can alter (or disrupt) your strategy. Regardless of how you go about it, there’s no substitute for having your finger on the pulse of your market. With a clear idea of how your business fits into its marketplace, you’ll be able to speak directly to the interests of your customers. Keep it interesting. Keep it real. The most important aspect of going viral may be the need to make it interesting and fun. Nobody wants to share the lame, advertorial stuff. They want the personal story, the funny, impromptu moment, and the off-the-cuff awesome sauce. Want to see a company getting viral content, right? Check out the AMC page for its 1960s-based hit Mad Men. I follow the show and keep up with its newsletter and online content. They’ve got a lively blog, games, recaps, photos, and extras. Even during the notoriously lengthy season breaks, AMC manages to maintain viewer interest by posting cast interviews and sneak peeks. Likewise, the lady of my house watches ABC’s Grey’s Anatomy and that show’s network is engaging in viral Internet marketing in a way that is very similar to that of Mad Men. You may not be attempting to market a hit television show — nor sadly have the budget to do it — but a similar approach can help you deliver your message in a way that is interesting to your audience. The basic concept is to take your core product (or service) and build interest around it, growing discussions from it, even during what would otherwise be downtime. I’m almost tempted to say that you might want to avoid a “flap” like the one Pepsi encountered with its infamous “Test Drive” video starring NASCAR driver, Jeff Gordon. It was pretty clear to everyone from the start that the video was staged, but Pepsi presented it as a “real” gag pulled on an unsuspecting car salesman. It definitely didn’t look that way. But I’d stop short of calling that video anything less than a success, simply because it got everyone, including the media, talking. As they say, no press is bad press. Are you ready to go viral? What all of this boils down to is a paradigm shift towards a new approach to marketing on the web. As platforms align and gain massive numbers of users, customers are placing newfound emphasis on the social aspect of choosing brands that they are willing to do business with. The old ideas of marketing being a two-way communication between a brand and a customer are giving way to a new era of branding and buying as a social activity. Your task, then, is to bring your brand to its audience in a way that facilitates their open, public love and fandom, effortlessly. If you look at the prospect of viral Internet marketing as an exchange of social currency, with a finger on the pulse of your market to anchor your efforts, you’re likely to see a solid uptick in the amount of content that you generate going consistently viral. In order to do that, you’ll want to use our five tips to steer your viral Internet marketing efforts in the right direction to grow your brand and increase its sales. What are your best strategies of viral Internet marketing? What works for your business? What doesn’t?